Is it possible I'm only participating in one reading challenge? That doesn't seem like me, but it appears to be true. At this moment I am only signed up for 5th Canadian Reading Challenge. I read 2 books this month: Mind Over Mussels by Hilary MacLeod and The Lunenburg Werewolf by Steve Vernon, bringing my total to 3. 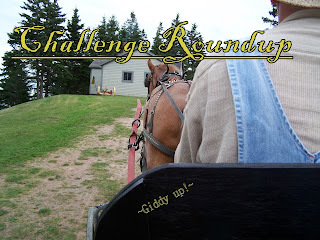 So, of course, I had to check out what is new over at A Novel Challenge. A Novel Challenge is a blog dedicated to posting about the latest reading challenges. There are a lot! It's crazy! I think I'm going to join Gender in Sci-Fi and Fantasy Challenge hosted by Pippi Bluestocking at Cynical Bookworm. Ever since reading The Yellow Wallpaper I've wanted to read Herland by Perkins Gilman. I also want to read Frankenstein again. For the others, I'm going to attempt to just pick a few I haven't read without knowing what they are about and diving in. The other challenge I'm joining is hosted by Teresa's Reading Corner, the 2012 Audiobook Challenge. I'm going for "Going Steady" 12 books as my goal. I like Audiobooks so this should be fairly easy. Hopefully, these challenges will make me a better readers. How about you? Any new challenges you've signed up for? 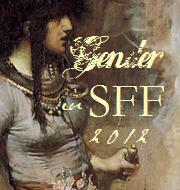 I signed up for Gender in SFF and then had to make it 'unofficial'. I can't get the books... If you can, though, I will know where to ILL! I just looked at my library. I haven't tried that feature yet. I haven't signed up for anything yet. I'm afraid to look, since I tend to join anything,and then have to come through! lol I've learned I like to be free to choose for at least part of the time. I hope you enjoy your challenges! that Novel one is calling to me.......thanks!